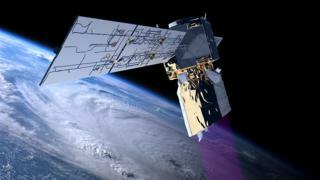 The British-built Aeolus satellite has begun firing its laser down on Earth to map the planet’s winds. It is a big moment for the European Space Agency mission, the technology for which took 16 years to develop. 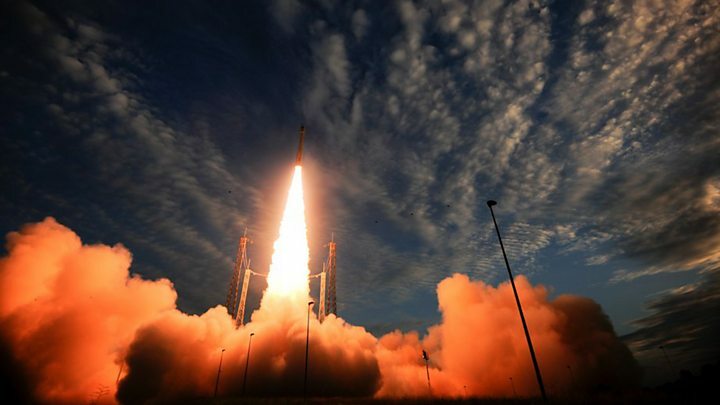 Launched two weeks ago from the Kourou spaceport in French Guiana, Aeolus is now undergoing three months of testing. 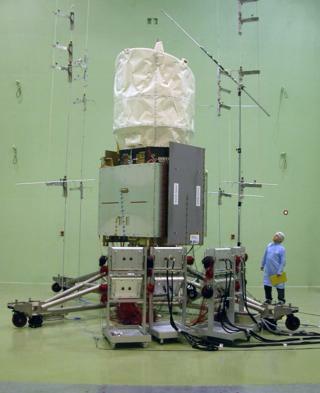 Once this is complete, scientists will start assessing the satellite’s wind data for inclusion in weather models. Its maps are expected to bring significant improvements in the accuracy of medium-range forecasts – those that look a few days ahead. “It’s a euphoric feeling and a proud moment to reach this milestone after overcoming the first technical challenge to build, launch and operate this complex wind lidar,” said Dr Mark Drinkwater, who heads Esa’s Earth and Mission Science Division. “Now what are arguably some of Europe’s most patient scientists and weather services eagerly wait to take over the baton. 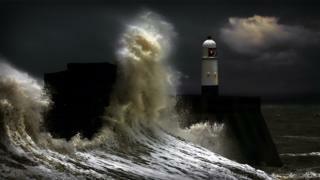 “The next challenge is to use Aeolus’ data to fulfil its scientific promise,” he told BBC News. 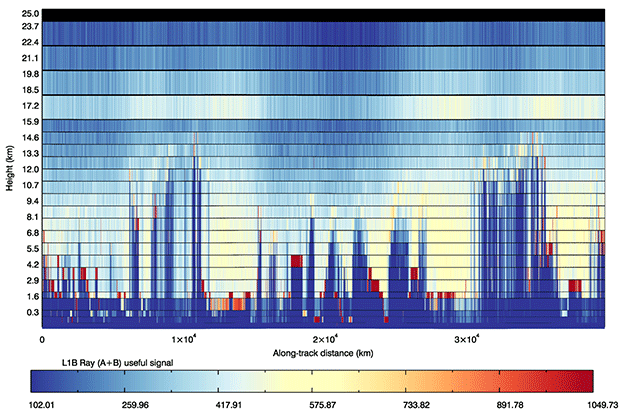 At the moment, wind data comes from multiple but patchy sources, such as weather balloons. Aeolus will be the first system to gather wind information all across the globe, from the ground up to 30km in altitude. It will do this by firing a powerful ultraviolet laser down into the atmosphere. With the aid of a telescope and a sensitive detector, it will then look for the way the pulsed beam’s light is scattered back off air molecules, water droplets and dust particles. This should reveal basic details about air movement and numerical weather models will be adjusted to take account of it. Experts confirmed the laser’s first days of working show clear features of the wind. Esa first approved the Aeolus mission in 1999, with the intention of launching the satellite in 2007. But engineers struggled to get the ultraviolet laser to work in the conditions it would experience in orbit, and there were many who thought the satellite would never fly. It took new designs and new technologies to make Aeolus happen… which explains why the laser’s first operation in orbit has been greeted with such joy. Mission manager Dr Rune Floberghagen told BBC News the instrument was operating at high power and that controllers may take it higher still. “But rather than pushing the ‘pedal to the metal’ from the beginning, we see great value in operating for a while where we are now,” he said. “We need to ‘learn’ the instrument. Plus, the operations over the past two weeks have been very intensive to say the least.